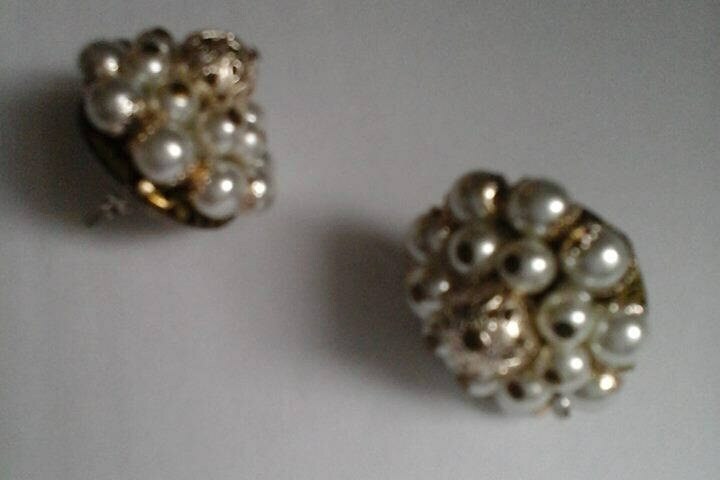 Vintage pearl angel brooch and earring set. 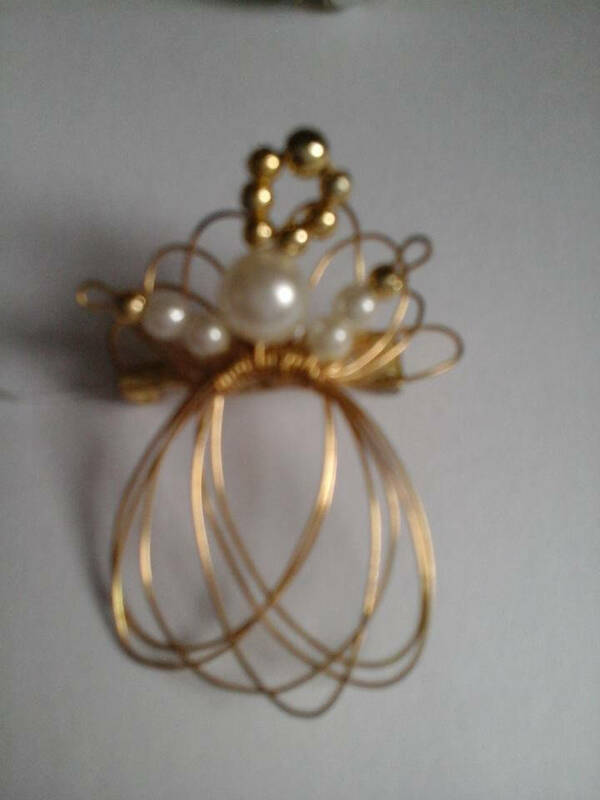 Wire and glass pearl angel brooch with vintage pearl cluster earrings (made into pierced backing). Pieces are brilliantly matched to make a standout statement. 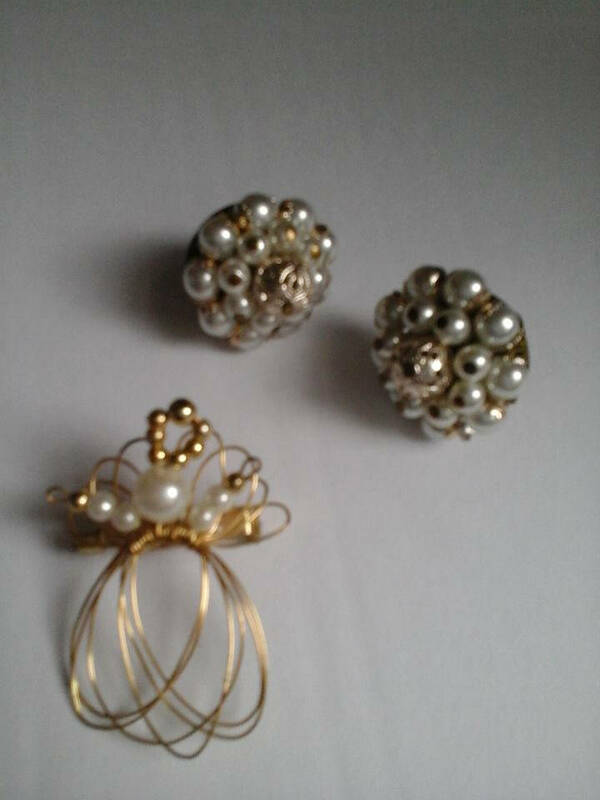 Price includes earrings and brooch.